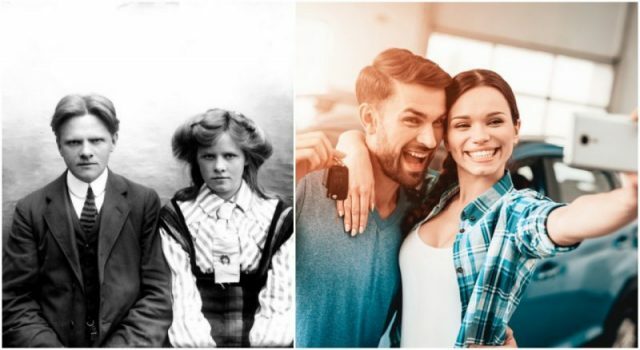 The so-called “10-year-challenge” has become all the rage recently, with social media users posting before and after photos, from 2009 and 2019, with an intention to reflect on the decade behind them. Since it is the first large-scale “challenge” trending in 2019, it has sparked hundreds of thousands of Facebook, Instagram, and Twitter users to join in. The fad which has mobilized so many netizens around the world has already been parodied in multiple ways and has been turned into various memes that address other changes which happened during the decade, like climate change. People who choose to accept the challenge are mostly concerned with how well they’ve aged, or what have they accomplished during a decade-long run. However, while a 10-year period might be a long time in the life of a single person, historically, it’s not that much. Therefore, we are raising the stakes by introducing the 100-years challenge. So, let’s venture on a journey through time and witness how much has the world changed from the year 1919 until today. During this time, the peace accords which sealed the fate of countries after the First World War were freshly signed, administering a period of reconstruction. Modern industrial processes were just beginning to shape both the landscapes and the economy of the planet. Traffic was becoming an issue, as more and more people could afford mass-produced automobiles. The world was beginning to seem like a smaller place each day, as transport excelled, together with means of communication like the telephone. 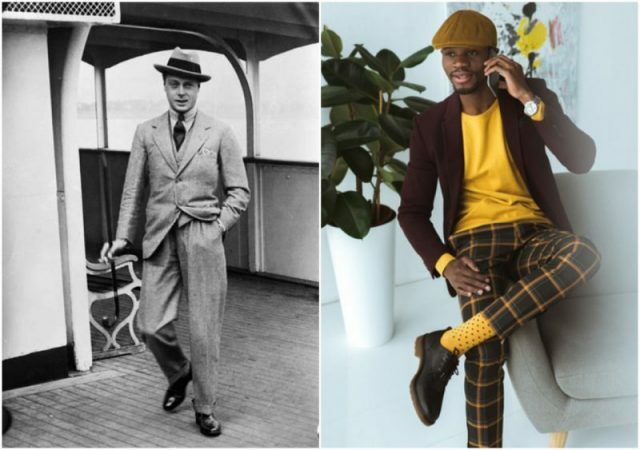 So take a dive into the world at the beginning of the 20th century compared with the times we live in and enjoy the variety of differences, all of which took one hundred years to make. It’s not only advances in technology that has changed our workplaces. 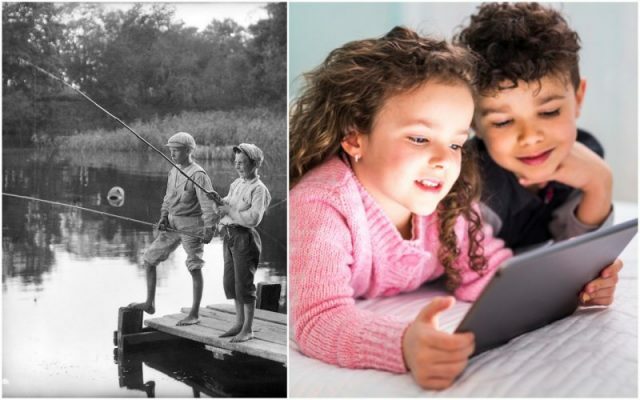 Kids free time has certainly changed. The Vegas of today is famed for it’s non-stop casinos and vibrant entertainment. 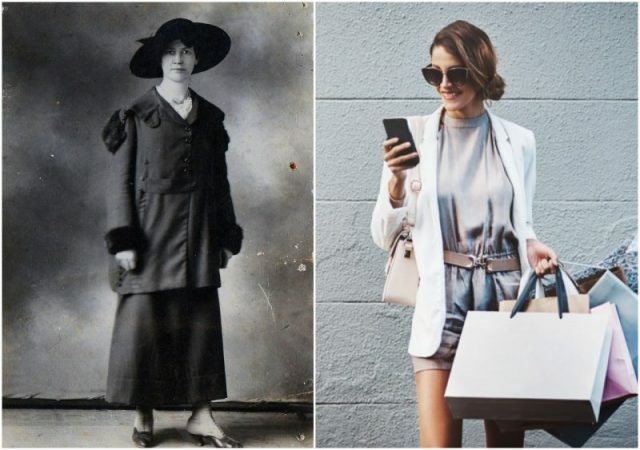 From the early days of posing for a formal photograph, to modern everyday selfies. Dance Hall becomes Dance Club. Obviously things change over time. Evolution, revolutions, whether it be in architecture, fashion, cultural norms or societal behavior, impact the fabric of our global community. It’s always good every now and then to take stock and look at where we are and where we’ve come from. To see how the past has created the present, and how the present will create the future. 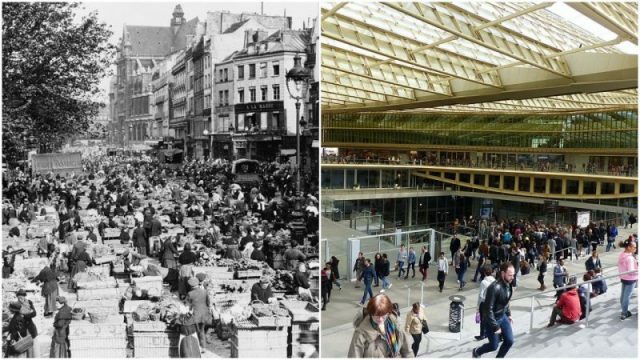 With the advent of the recent “10-year challenge” sweeping across social media, it was a good time to look at the world as it was 100 years ago and today. 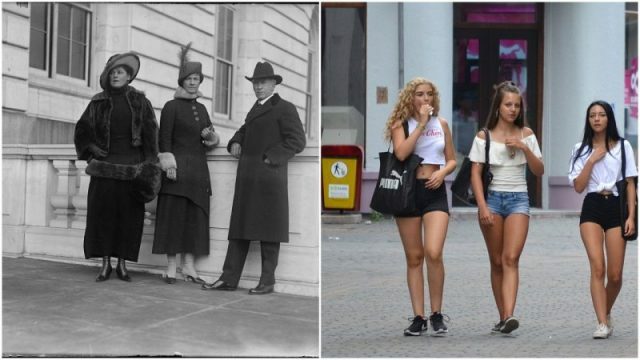 The “100-year challenge”. Who knows, in a 100 years people will probably look back at our present era of seemingly mind-bending technological innovation, and say how primitive and underdeveloped we were! But we’ll leave that for the next “100-year challenge”.